Israel. Hopefully, along side with that, they will continue in their contribution to Israel's social. brilliant, and now they will be able to use their various abilities to shape a better image of. The Fletcher School of Law and Diplomacy, Tufts University. The participants take part in a series of seven, three-hour sessions, led by world-renowned experts on public diplomacy [JB emphasis] and media affairs. UNITAR Organizes Workshop on Public Diplomacy for Delegates from the KSA Ministry of Foreign Affairs. conveying a message. The man and women who took part in this workshop were indeed. 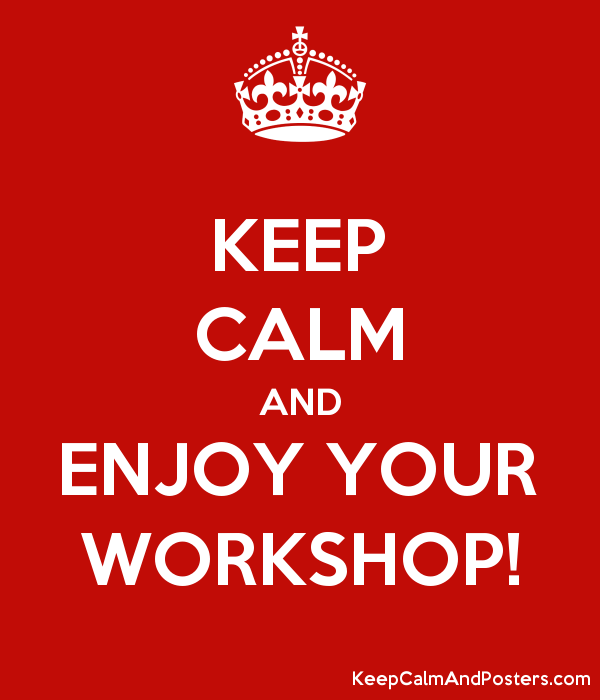 "Great Workshop, I had the chance to use some of the new tools I got, very helpful! Thanx!". Eva Rosenstein, President of The Lilyan Wilder Center for Communication Excellence, public speaking. yet I felt that there was room for questions and discussion.". 16– 20 July 2018, Madrid, Spain– As a continuation of our long-standing collaboration with the Ministry of Foreign Affairs of the Kingdom of Saudi Arabia (KSA), UNITAR delivered a five-day training workshop in Madrid on Public Diplomacy. The workshop was attended by 17 Saudi Arabian Diplomats from the Ministry of Foreign Affairs. The event took place as part of the numerous training workshops UNITAR will be delivering across 2018 for the Kingdom of Saudi Arabia. Home " UNITAR Organizes Workshop on Public Diplomacy for Delegates from the KSA Ministry of Foreign Affairs. After El Salvador, What Now for Taiwan and Its Central American Allies? David Green, international.thenewslens.com; some references from original article edited out due to formatting issues. David Green is an editor at The News Lens. He covers a lot of stuff, but is most comfortable trying to work out if a robot will come for his job before a government pays for retraining or offers basic income. El Salvador’s decision to switch diplomatic recognition to Beijing was a pivotal moment in Taiwan’s future. Taiwan is enmeshed in a diplomatic crisis that threatens the stability of Asia. Just over a decade ago, the entire Central American isthmus recognized Taipei, representing a contiguous bloc of seven countries among a platoon of 25 nations that had yet to buckle to Beijing’s will and endorse the "one China principle," under which Beijing is intent on forcing the world to acquiesce to the view that Taiwan is an inalienable part of its territory. Now, after Costa Rica broke ties in 2007 and El Salvador followed suit last week, barely more than half the isthmus maintains ties with Taipei, part of a dwindling global group of 16 small countries and the Holy See. The last two years have seen five countries switch recognition in relatively quick succession, putting Taiwan on a hastened path towards a potential crisis point of "diplomatic zero": a situation in which no global government recognizes Taiwan. The defections result from a diplomatic war waged by the Chinese Communist Party (CCP) to squeeze President Tsai Ing-wen (蔡英文) and her Democratic Progressive Party (DPP), whose Foreign Minister Joseph Wu (吳釗燮) lambasted San Salvador for being lured by China's "checkbook diplomacy." The CCP, in its systematic dismantling of Taiwan's diplomatic network, is spurred by its perception that Tsai and her DPP administration favor independence from China. Tsai herself has said that she favors maintaining the status quo in cross-Strait relations, but the credibility of this position is undermined in China's eyes by her track record as a politician, notably as the co-author with former President Lee Teng-hui (李登輝) of the "two state solution" in 1999, which advocated for China and Taiwan to engage in a special "state to state relationship." Then Democratic Progressive Party (DPP) Chairperson and presidential candidate Tsai Ing-wen (L) hugs former Taiwan President Lee Teng-hui during a campaign rally in Banqiao on the outskirts of Taipei Jan. 13, 2012, one day before the presidential election. Beijing views recent statements from Taiwan Premier William Lai (賴清德) affirming that he is a "political worker for Taiwan independence" as further evidence of the incongruity between Tsai's outward pronouncements and her political beliefs. Analysts quickly noted that El Salvador's ruling Farabundo Martí National Liberation Front (FMLN) government, heavily favored to lose power in next February's national elections, likely wanted to shift to China while they still had time – a claim denied by San Salvador. The announcement of the defection coincided with Tsai's return to Taiwan soil after a nine-day diplomatic visit to Belize and Paraguay that included widely publicized stopovers in Los Angeles and Houston. The timing suggests that Beijing was able to stage manage the process to its own ends as a means of publicly punishing Tsai and the U.S. for having the temerity to indulge in such a public show of mutual support. "Using the return from the region by President Tsai allowed El Salvador's action to undermine the Tsai trip and serve as a "message" to others," Robert Evan Ellis, a research professor of Latin American Studies at the U.S. Army War College Strategic Studies Institute who focuses on Latin America's relationship with China, told The News Lens. Ties between the U.S. and San Salvador have cooled significantly since the administration of U.S. President Donald Trump opted not to renew "Temporary Protected Status" for some 190,000 Salvadorans who will now be subjected to forced expulsion. In a recent commentary, Prof. Ellis posits that the deteriorating relationship between Washington and San Salvador "may have convinced the FMLN, already seemingly on its way out of power, that it had nothing to lose." Prof. Ellis told The News Lens that, while he is unsure whether it is possible to 'blame' Trump's rhetoric towards Central America for El Salvador's change, the move underlines "the importance of the strategic value for the US, through our public diplomacy, of maintaining friendships and goodwill throughout the world." The U.S. establishment reacted to El Salvador's decision with vitriol, including threats by Senator Marco Rubio to agitate for the total cessation of foreign aid – a hardline response which was largely absent when the Dominican Republic dropped Taiwan in May. "Sending a strong message about the reevaluation of the US Salvadoran relationship, with the implications of impacts for investment in and trade with Salvador, however seemingly combative, does send a strong message to others who may be contemplating such a change," said Prof. Ellis. The U.S. may also be awakening to its critical role in ensuring Taiwan's retention of its diplomatic allies and potentially, by extension, its existential safety. El Salvador's decision to switch diplomatic recognition represents a significant victory for the CCP and one that has the potential to unhinge what remains the most significant bloc of Taiwanese diplomatic allies. "The loss of El Salvador is significant because it is one of the three countries, along with Guatemala and Honduras, that make up the Northern Triangle of Central America, which has long been a focus of Taiwan’s engagement with the region," said Daniel P. Ericson, Managing Director and leader at public affairs consultancy Blue Star Strategies, where he manages the Latin America practice. "At this point, Central America as a whole is a toss up – with Panama, Costa Rica, and now El Salvador favoring mainland China, while Honduras, Guatemala, Nicaragua and Belize still recognize Taiwan. However, it is highly likely that there will be additional defections to China in the coming year." As of Monday, the foreign ministries of Guatemala, Honduras and Nicaragua had all offered pledges of continued support for Taiwan via their embassies in Taipei. The received wisdom is that Tsai’s recent trip to Belize will have done as much as possible to ensure that the government of Prime Minister Dean Barrow does not waver in the short term. The last two years have seen five countries switch recognition in relatively quick succession, putting Taiwan on a hastened path towards a potential crisis point of 'diplomatic zero': a situation in which no global government recognizes Taiwan. Yet the possibility that other Central American governments could follow San Salvador has set in motion a geopolitical chess game with far-reaching consequences, evinced by a robust response from a perturbed U.S. foreign policy establishment anxious to avoid further erosion of its predominance in Latin America. "This is a decision that affects not just El Salvador, but also the economic health and security of the entire Americas region," reads an Aug. 23 White House press statement. "The El Salvadoran government’s receptiveness to China’s apparent interference in the domestic politics of a Western Hemisphere country is of grave concern to the United States, and will result in a reevaluation of our relationship with El Salvador." That as yet undefined reevaluation is a warning to other governments to think twice before considering normalizing ties with Beijing and closing their Taiwan embassies – not least because there is a chance of bringing San Salvador back into Taipei’s fold within the next six months. The leading candidate in El Salvador’s presidential elections, set for Feb. 3 next year, Nayib Bukele of the newly formed Grand Alliance for National Unity, has pledged to reverse current president Salvador Sanchez Ceren’s decision to normalize ties with Beijing. And Carlos Calleja of the opposition Nationalist Republican Alliance (ARENA) has echoed Taiwan’s Ministry of Foreign Affairs in warning of the dangers of falling lure to China’s checkbook diplomacy – citing Costa Rica as an example – not to mention the risks involved in playing fast and loose with the support of the United States. These indications do not represent a guarantee, and analysts suggest Bukele is sufficiently savvy to recognize the benefits of deeper commercial ties with China, but still, there is a possibility that El Salvador could become the first country since St. Lucia in 2007 to switch recognition back to Taipei. There is also reason to believe that the people of El Salvador, and by extension their elected representatives, would welcome such a return, according to Janice Chen, Senior Associate at the Taiwan Democratic Progressive Party Mission in Washington. "Taiwan’s diplomatic relationship with El Salvador had dated back more than eight decades … I think this is a big part of the reason why we are seeing the significant domestic pushback and consternation within El Salvador, triggered by their government’s decision," she told The News Lens in an email. No warships and fighter jets of Chinese People's Liberation Army (PLA) Navy take part in a military display in the South China Sea on April 12, 2018. 'Diplomatic zero': is Taiwan prepared? Analysts contend that what is at stake is no less than Taiwan’s future, and with it the stability of Asia as a whole – that further diplomatic abandonments would represent a worrying slide towards "diplomatic zero." "The movement to zero diplomatic allies moves us dangerously close to destabilization in Asia," said Prof. Ellis. "It leaves us at that point where the PRC is most tempted to take actions to resolve the Taiwan issue as an internal Chinese matter, and moves us closer to war-related risks." That sentiment is echoed by David An, a senior research fellow at the Global Taiwan Institute (GTI) and previously a political-military officer at the State Department under the Obama administration, who warned in a recent GTI paper that "At the current rate with which Beijing is stealing Taiwan’s diplomatic allies, Taipei could reach ‘diplomatic zero’ within five to 10 years." But there is currency in the idea that Taiwan can afford to lose its allies. An told The News Lens that there is an argument that "Taiwan maintains strong informal diplomatic relations through its TECRO [Taiwan Economic and Cultural Representative Offices] in the United States, Europe, Latin America and throughout the world that function as de facto embassies and consulates, so Taiwan is still connected with almost all countries to successfully perform diplomatic, economic, security work with its informal allies." This position has been given weight in the recent past through statements from the likes of former DPP Chairman Hsu Hsin-liang (許信良), now head of the Foundation on Asia-Pacific Peace Studies, a private think tank, suggesting that losing allies like São Tomé and Principe, which switched to Beijing in December 2016, is "not really important" as it frees up budget to be deployed elsewhere. Ariel P. Chang, a project assistant at the National Democratic Institute, a nonprofit aimed at strengthening global democratic institutions based in Washington DC, suggests this is precisely what the Taiwanese people voted for when they elected a DPP government: "Losing Republic of China allies is one of the many consequences when we are slowly moving away from this old identity," she said, referring to the Tsai administration’s rejection of the 1992 consensus and with it the implication that there is only "one China" and that Taiwan is part of it. Others fear this line of thinking underestimates the ruthlessness of the CCP’s calculations: "My personal sense as regards informal ties is Taiwan fooling itself about the very serious situation that it is in," said Prof. Ellis. "Formal ties are recognition of diplomatic legitimacy. Official diplomatic relationships are at least one indication that the world cares about the future of a non-PRC Taiwan." Taiwan’s Presidential Office spokesman Alex Huang (黃重諺) said in an Aug. 24 interview that the Tsai administration has contemplated the possibility of being left with no diplomatic allies and has a strategy in place to deal with this eventuality – though he declined to offer specifics. Avoiding that eventuality should be top of the DPP government's agenda, and analyzing the root of El Salvador's decision should be an integral part of that process. There are various competing claims over whom to blame for El Salvador’s decision, but Janice Chen has it right when she says: "What is certain is that Beijing’s attempts to draw the remaining allies away from Taiwan will only continue to intensify … Whether these countries will ultimately find Beijing’s appeal persuasive will likewise depend on the interplay between a complex rubric of external and internal factors." However, that complex rubric is often oversimplified when debating the causation of diplomatic abandonments within Taiwan. Foreign Minister Wu and Democratic Progressive party legislator Wang Ding-yu (王定宇) have talked up the idea that the decision of President Ceren, a former guerrilla leader, was motivated purely by money – that his government had fallen victim to China’s "checkbook diplomacy" after failing to squeeze Taiwan for sufficient funds. Legislator Wang also suggested in a Facebook post that El Salvador had demanded Taiwan provide funds for the development of La Union port in the southeast of the country, which has long been considered a potential economic catalyst for the country, despite having been inactive since initial infrastructure work was completed with the help of a US$100-million investment by Japanese port development companies in the late 2000s. Wang said El Salvador had asked for US$4 billion to develop La Union’s port and US$23 billion for a special economic zone (SEZ) surrounding it, plus the payment of US$25 million in maintenance costs – costs Foreign Minister Wu called "astronomical" and far beyond the potential returns of the project according to a Taiwanese task force that had reviewed its viability. Wang’s post implied that the CCP had accepted these terms, and had bundled in additional "gifts" to support President Ceren’s campaign for re-election. Ceren's FMLN government denied these claims, instead pointing to the wider economic opportunities offered by dealing with China. "We cannot turn our back on the world, ignore that China is the second largest power in the world and the leading export economy on the planet," El Salvador’s presidential spokesman Roberto Lorenzana said. "It is key for our country." La Union Port in east El Salvador is rich with potential but there are significant obstacles to its further development. Painting the La Union project as a white elephant that the the CCP was happy to endorse in return for El Salvador’s recognition fits with the Ministry of Foreign Affairs’ agenda of emphasizing the "high degree of debt risk" that comes with opening the door to China – a narrative that is in global play as a result of questions related to China’s financing of the far-reaching Belt and Road Initiative. Taiwanese officials took much the same line on the Dominican Republic when it severed ties in May, letting it be known that Santo Domingo was tempted to normalize relations with China largely as a result of a US$4 billion incentive package with which Taiwan could not possibly compete. "Taiwan has been and will continue to be proactive in pointing to the cautionary tales around the world, from other countries whose experience with Chinese financial assistance more often than not end in regret or unfulfilled commitments," said the DPP’s Chen. "That list is lengthening by the day, and encompasses everything from soccer stadiums in Costa Rica that resulted in little or no job creation for local workers, to large-scale infrastructure projects in Southeast Asia that have left sovereign nations saddled with years of debt." Chinese workers construct the new Costa Rican national stadium in San Jose, Nov. 24, 2009. The stadium costing US$83 million dollars was donated by the Chinese government after establishing diplomatic relations with Costa Rica in June 2007. But the fact is that China is unlikely to have committed to investing in an SEZ which has yet to be approved in El Salvador’s Legislative Assembly. Moreover, Beijing loses nothing in keeping its wallet closed until after El Salvador’s presidential elections are completed and with them confirmation of whom it will be dealing with for the next five years. In any case, the opening of China’s cheque book was just one of a confluence of factors influencing the calculus in San Salvador – the city that witnessed the first call for Central American independence from Spain in 1811. Of more pressing concern was the expectation that the FMLN will lose the presidential race in February following a poor showing in congressional elections in May this year, not to mention its faltering relationship with the United States – which Prof. Ellis writes is evidenced by President Trump's revocation of Temporary Protected Status for Salvadorans in the U.S., "combined with [the administration's] rhetoric toward Latin Americans and other immigrants, expanded deportations, and accompanying uncertainty regarding the future of U.S. funding for programs in the region such as the Alliance for Prosperity." There has also been speculation that the Chinese government is willing to shoulder financial risk on behalf of its taxpayers because it has aspirations to leverage La Union’s port in a military capacity. U.S. Ambassador to El Salvador Jean Manes warned of a creeping Chinese economic influence and militarization in the region – notably in July, before El Salvador’s diplomatic switch but just a few days after the FMLN government announced that China had expressed an interest in investing in the proposed SEZ, ironically under openhanded terms that the U.S. itself had helped define. US Ambassador to El Salvador Jean Manes participates in a joint news conference about the cancelation of Temporary Protected Status for about 200,000 Salvadorans in the US, in San Salvador, El Salvador, Jan. 8, 2018. Such rhetoric is alarmist and likely wide of the mark – in line with the White House’s more hawkish line on China since the ascent of John Bolton as National Security Advisor and Mike Pompeo as Secretary of State, not to mention the earnest opening of trade war hostilities with Beijing that began at much the same time. Prof. Ellis suggests that absent a global conflict, the PRC has very little incentive to build military bases in Latin America but that is not to say that friendly governments in Latin America would not allow People’s Liberation Army Navy ships to refuel or make port visits in the event of a global conflict. A more immediate risk is the use of economic dependence as leverage to secure military influence, David An told The News Lens. "China spends hundreds of millions of US dollars to help other countries build large commercial ports and tie up the country in debt to China. It translates economic into political leverage to send in naval vessels such as submarines. Sri Lanka [Hambantota port] is the archetype for this behavior," he said. The port is thus symbolic of what El Salvador would really lose as a result of inviting in Chinese investment and business interests: control of its economy. Whereas Taiwan’s aid programs tend to be tailored towards value and employment – "made-to-order garments" in the language President Tsai used during her visit to Belize – China’s approach is more blunt instrument. "Local companies are replaced by PRC based companies, funds and workers. They build the infrastructure with very little leave behind benefit for the locals," said Prof. Ellis, who has observed China’s approach in both Costa Rica and Panama since they made the switch to Beijing. "What traditionally happens is you lose a small amount of development aid, but bigger risks are the invasion of the local economy – the market is opened with the promise with expedited access to Chinese markets but you probably won’t end up having El Salvador placing more [of its primary exports] fruit and coffee in China – it just doesn’t have the national branding." Prof. Ellis also contends that El Salvador was primed and ready to treat with Beijing in part as a result of the creeping influence of PRC companies and representative bodies in the country, which included a small China Council for the Promotion of International Trade office. "Some of the big mistakes over the last 14 years have involved the Taiwanese government [not trying] as hard as it used to to stop the advances of the more subversive things the CCP were doing; informal commercial relationships, friendship committees in states that recognize Taiwan. Those things paved the way for those countries to flip when the time came." People walk through Daniel Hernandez Park in Santa Tecla, San Salvador, El Salvador, Tuesday, Aug. 21, 2018. Both Ellis and Blue Star Strategies’ Ericson indicate that many Central American governments had approached the PRC about flipping during the diplomatic truce that spanned the Ma Ying-jeou (馬英九) presidency. "Taiwan miscalculated the importance of maintaining a diplomatic truce with China in order to keep its allies in Latin America, and instead viewed the past decade or so of relative stability as a testament to Taiwan’s diplomatic effectiveness," Ericson said. "In fact, many Latin American countries have been eager to restart relations with China and are seizing this moment of disruption to do so." El Salvador’s decision was thus the result of a unique set of domestic and international political factors, particularly frustration with the current U.S. government, as well as careful groundwork by China that opened the door to a switch when the stars aligned. In contrast, the DPP's Chen suggests that the decision was taken in isolation: "There is no indication the decision of the El Salvador government to recognize Beijing was linked in any way by particular policies of the U.S. administration," she wrote in an email. "The way in which the events unfolded have made it patently obvious that the move is attributable solely to persistent Chinese efforts to buy away Taiwan’s remaining allies through unrealistic promises." Chen is obliged to tow the party line given her position within the DPP, but this narrow focus risks losing sight of salient issues as Taiwan moves forward. Now, the fear will be that there are other cards already in China's Central American deck that are just waiting for the right moment to flip. As for which capital might be next to switch to Beijing, Prof. Ellis said that Honduras is vulnerable to a PRC swoop for many of the same reasons that El Salvador was – economic necessity and frustrations with U.S. immigration policy. One of the small Caribbean nations could also be contemplating a change – Haiti being particularly susceptible due to the depth of existing PRC economic interests there, he added, while conceding that such crystal ball-gazing is essentially a crap shoot. Taiwan's President Tsai Ing-wen (L) and her Honduran counterpart Juan Orlando Hernandez attend a joint news conference after a private meeting at the Presidential House in Tegucigalpa, Honduras on Jan. 9, 2017. In the meantime, Taiwan will double down on the DPP government’s strategy of "steadfast diplomacy," which has been operating since 2016. "Taiwan has a rich store of experience to share with similarly situated diplomatic partners, in the form of best practices for growing their economies in a balanced and sustainable way—by investing in human capital, empowering a vibrant SME sector, and expanding trade through integration into a global supply chain," Chen said. That strategy also appeals to the democratic values shared between Taiwan and its Latin American allies, and the eschewal of dollar diplomacy competition with China. But the chances of holding onto its allies in Central America for long enough to potentially effect a reversal of recognition in San Salvador is highly dependent on the actions of the United States. Prof. Ellis suggests that San Salvador, having witnessed the relatively mild ripples of discontent after Dominican Republic’s decision to normalize ties with Beijing in May, was surprised by the vehemence of the U.S. response to its parallel action. Much depends on how Taiwan’s remaining allies in Central America react to the aggressive U.S. response to El Salvador. The feeling is that this could go either way – acceptance of the leverage the U.S. holds over their domestic economies via remittances sent through immigrants whose status remains in the balance, or a rejection of such perceived bullying entailing a switch to the PRC. Ericson indicated that the U.S. might consider offering a stronger economic incentive to keep Central American governments onside: "The U.S. cannot effectively deter Taiwan’s allies from moving to China without making a stronger economic case — moral appeals on Taiwan’s behalf are unconvincing when in fact the US also recognizes China and has done so for nearly four decades," he said. Whether Taiwan has any leverage to influence the U.S. approach as the country heads towards all-consuming midterm elections this November is an open question. U.S. Senator Cory Gardner met with President Tsai during her stopover in Los Angeles on Aug. 13 to reaffirm support from the United States for Taiwan, and outlined his backing for the Taiwan International Participation Act (TIPA) of 2018, a bipartisan bill Gardner introduced in May that advocates for Taiwan’s inclusion in international organizations like the International Civil Aviation Organization and the World Health Organization. Senator Cory Gardner (C) arrives for a closed senators-only Capitol Hill briefing on election security at the U.S. Capitol in Washington, Aug. 22, 2018. Gardner's bill is an indication that Taiwan is in play as a means for the U.S. to pressure China amid the continuation of the U.S.-China trade war – though some warn the passage of the TIPA would do little more than provoke further negative reactions from Beijing. In any case, it is highly doubtful whether Taiwan coming into play in Congress would translate into the kind of joined-up thinking and economic assistance required to make life easier for the country's diplomats in Central America. Is it the end of Turkey-US partnership? The future of the Turkish-American partnership for the last few weeks. There are pessimists who contend that relations will never recover from the turbulence that it entered, and this historic partnership will fall apart. There are also optimists, now fewer in number and more cautious than they used to be, who see the current state of relations as just another phase of Turkish-American relations that has been sometimes unstable but overall rather steady. For pessimists, the latest phase of the crisis between the two countries that erupted as a result of the trial of pastor Andrew Brunson is only a symptom of deteriorating relations. For cautious optimists, the reason for this crisis is due to the misunderstandings and miscommunication that took place between the leaders of the two countries. It is important to understand that the partnership between the two countries reached a certain point after the end of the Cold War. In the 1990s, the partnership had a chance to be revived and reset by the two countries. However, the U.S. administration preferred to follow a policy of establishing ad hoc partnerships during this period, and the NATO allies failed to reform and renew the nature of the alliance. Turkey and the U.S. also made ad-hoc alliances in the Gulf War and during the humanitarian intervention in Somalia. These partnerships became the rule of the game. However, as we entered into the 2000s, the two countries started to have disagreements in regards to crisis areas. The divergence of interests and concerns reached a high point with the Iraq War, and since then in most of the Middle East crises, the two countries failed to reach a policy convergence. This has led some observers to offer the concept of transactional relations to define the new state of Turkish-U.S. relations. In this new conceptual framework those observers were expecting that the two countries could work in some areas of convergence and try not to bring relations to the brink in case of a divergence of interest. However, in the last decade we have seen that this is a rather difficult equation to keep. First of all, areas with divergences of interest have become too big to handle. Furthermore, the U.S. side elevated the level of crisis to a major breakdown. Especially in the last few years, there was a constant threat to Turkey to adopt sanctions for different things, from S-400 missile system to the Brunson case. There was an obvious asymmetry in terms of the reactions of the two countries to the different crises. Second, there has been a major problem of trust. U.S. assistance to the PKK-linked People's Protection Units (YPG), the arrest of Turkish banker Hakan Atilla and the way that his trial was conducted, the presence of Fetullah Gülen, the leader of the Gülenist Terror Group (FETÖ), in the U.S. and all the other public diplomacy [JB emphsis] accidents conducted by different institutions of the U.S. against Turkey all contributed to this crisis of trust and confidence. It was not just Turkey, but most of the U.S. allies suffered from the same problem in their relations with the U.S. On these shaky grounds, it has been very hard to establish a transactional partnership either. In this critical juncture of bilateral relations it is important to realize that the relations need a new conceptual framework. This would necessitate a step-by-step approach that will start with the use of effective diplomatic mechanisms to find least common denominators in the crisis areas. The working groups established following former Secretary of State Rex Tillerson's visit can be a first step for this. It is true that the two countries can work together in some critical issue areas. From Afghanistan to the Balkans, from energy security to the war on terror, the two countries share important goals and objectives; however, recent crises demonstrate that these common goals fail to generate a strategic partnership. What needs to be done in the coming period is for the two countries to start a strategic dialogue that will entail the key areas of geopolitical significance. It will be critical to give some meaning and content for the partnership. They have to establish a working relationship to stop the crisis from spreading to different areas. Containment and control of the crisis is the first step to be taken care of. Both negotiators and diplomats need to be innovative and creative to handle the crisis and end this. In particular, the U.S., which adopted unacceptable measures against Turkey during this crisis, needs to understand that public opinion is a very important part of decision-making mechanisms. The reaction to the U.S. from Turkey should not be underestimated. Unlike other countries, foreign policy is a very significant part of public opinion, and it will continue to be so. Image from article, with caption: Christine Schraner Burgener is UN's special envoy for Myanmar. Targetet sanctions, continued international scrutiny and robust diplomatic engagement are crucial to resolving the impasse in northern Rakhine State, a Brussels-based think-tank says in a new report. Northern Rakhine, which witnessed a mass exodus of Muslims across the border to Bangladesh last year, is “of most immediate concern” among the range of key issues facing the Myanmar government, from the economy to the peace process, according to the International Crisis Group (ICG). The Arakan Rohingya Salvation Army (ARSA) launched attacks on security posts in northern Rakhine on August 25, 2017, prompting a brutal military crackdown that resulted in an estimated 700,000 Muslims fleeing to Bangladesh, amid reports of serious human rights violations carried out by security forces, Rakhine vigilante groups and ARSA. Yet, even were Nay Pyi Taw to develop the political will to respond constructively to the humanitarian crisis or other problems, progress is likely to be limited. “This means that, in addition to the external pressure that continues to build, principled diplomatic engagement is also vital to translate that pressure into at least some meaningful steps forward,” the report said. The policy challenge is to secure “tangible progress” while maintaining a principled stand on crimes against humanity, the ICG said. External pressure can be important but is unlikely by itself to yield results. “In considering what progress may be possible, it is important to be aware that the Rakhine crisis is occurring in a wider context of lack of vision and ineffectiveness of government, something that is unlikely to change in the near future. Public sentiment in Myanmar also remains firmly behind the government.” Hence, robust diplomatic engagement will be necessary to translate such pressure into meaningful change. In particular, the UN special envoy for Myanmar plays a key role in this effort. Christine Schraner Burgener was appointed by the UN secretary-general as special envoy for Myanmar in April. The ICG noted that she has had initial positive engagement with key stakeholders in the crisis, including the state counsellor and the commander-in-chief. The diplomatic corps within the country is also welcoming, and the Security Council has expressed its support. Ms Burgener has made clear that she is a bridge-builder but will discuss all the difficult issues with Nay Pyi Taw behind closed doors, rather than via public diplomacy [JB emphasis] . However, coordination between her and the UN bodies is vital. “In particular, the special envoy provides a mechanism by which scrutiny and pressure from these bodies can be translated into meaningful action on the ground, even if that is likely to be limited. Without this, pressure alone will likely achieve little other than pushing Myanmar back into isolation and reliance on its regional allies,” the report said. For international actors, the ICG advocated three sets of tools: targeted sanctions, continued international scrutiny, and high-level engagement. Targeted sanctions serve as a means of sending an international signal that actions such as the campaign against Muslims in northern Rakhine are unacceptable and have consequences. Given the country’s history and domestic attitudes, these are unlikely to change the thinking of the military or political leadership, but they would send a broader message to others who might be considering similar actions. Continued international scrutiny, notably from the UN Security Council, as well as moves toward international accountability, would probably get the authorities’ attention and thus could have an effect. Examples include setting up an independent mechanism by the UN General Assembly. However, the report warned that these two options alone are insufficient to produce meaningful change, since the problem is not merely one of political will, but also government capacity and the inherent intractability of the issues. “Beyond conveying concerns, the goal should be to help identify, and offer support for, practical steps the government could take to achieve progress on accountability for crimes against humanity and the substantial improvement of conditions in Rakhine State.” Ultimately these must be conducive to the sustainable return of the refugees.